Many thanks to the attendees, my sponsors and new folks I met at the Western Washington Sportmen’s Show in Puyallup, WA. I also want to thank O’Loughlin Shows for putting together a great show for outdoor enthusiast in Western Washington and beyond. I want to take an opportunity to thank the many new clients who booked at the show for the 2018 season(s). We will have a great time on the water. I also want to thank the attendees to the seminars (Drift Fishing Tips for Summer Steelhead and Summer Kings) I provided each day at the Indoor River, which was sponsored by Les Schwab Tire. 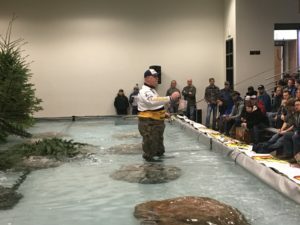 Les Schwab Tire did a great job sponsoring the Indoor River, which is a great learning environment for anglers who attended. It was great to see the Beau Mac and SMI attend the show for the first time. I have been using Beau Mac gear for more than 27 years. As a professional guide, I have been talking about their gear for more than 11 years. St.Croix Rods had a good show, showing off the rods, which are designed for the Pacific Northwest fisheries as well as the warm water rods. Humminbird & Cannon downriggers showed off their latest designs, to include mega chirp and the new Solix 12″ fish finder. I run the Solix 15″ on my saltwater boat. I know the folks moving into the 12″ Solix will be Super impressed. I saw and used a new product at the Sports Show. It is not quite for mass distribution, so I will not reveal what it is. But it should be ready for everyone to buy by March. In my opinion, this is one of the most amazing products I have seen in the past several years. 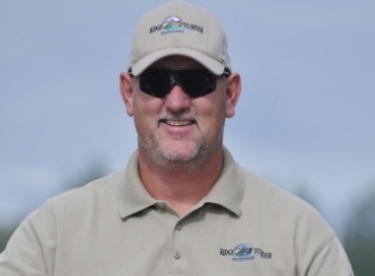 It will absolutely benefit sport anglers of all types and even more. I will be shooting a video about the product in the next several week. I will release the video when the product is ready to ship. In any case, thank you folks for a great 2018 Western Washington Sportmen’s Show. For those of you moving on to the Pacific Northwest Sportsmen’s Show in Portland, I wish you fair winds and following seas.